How important are Sherpa’s on Mount Everest? When most people hear the word ‘Sherpa’ they think of somebody who is there to carry their bags up and down mountains like Mount Everest. However, they are so much more than this, and the majority of Sherpa’s in the Everest region actually work as guides for those climbing the mountain, and it is the porters who do the carrying. However, how important are Sherpa’s on Mount Everest? Well, there are several valid points to consider in answer to this question. Basically, in short, they are indeed very important. Firstly, you need to think about the guiding part of their job. Unless you are in a team, or you are an expert mountaineer, you are going to find it incredibly difficult to climb Mount Everest safely. However, with a Sherpa guide you do not have to worry about this. They are experts in climbing, and their bodies are better equipped to deal with the high altitude conditions and also the harsh winter weather. This is just one of the reasons that prove why Sherpa’s are incredibly important to those who climb Mount Everest. Sherpa porters are a little different, in that they offer a different service. A Sherpa porter carries some of your equipment, and can also help cook meals for you and other climbers. Commonly, one Sherpa is assigned to one person, although this can be different because sometimes people share the cost of the Sherpa that they hire. A Sherpa porter can be incredibly helpful if you are inexperienced at mountain climbing. The equipment that you will have to carry on your climb is usually very heavy, so having that extra pair of hands can be incredibly important when climbing Mount Everest. Another good thing about the Sherpa’s is that they can often provide comfort to climbers who are having a hard time. Although very few of them actually speak English, language does not seem to be a barrier when it comes to looking after the climbers. As well as comfort, they can also offer a boost in morale to those who are finding it difficult to want to carry on with the expedition. It can often be hard to get this boost from other climbers, but Sherpa’s are experienced and have made the climb many times before, so they are going to find it a lot easier than the average climber. All of these things indicate just how important the Sherpa’s actually are when it comes to climbing Mount Everest. Without them, and without a team behind you, the climb would not only be more dangerous, but also, you would probably find it hard to get motivated to want to finish the climb. When this happens, things can get very dangerous. To hire the services of a Sherpa on Mount Everest may be expensive in some cases, but it is definitely worth the extra price that you will have to pay, simply to have the reassurance that there is somebody there who will help you. – Everest 2010: Jordan and Apa Summit! – Everest 2011 season – Expeditions with any British Teams or Britons. – 500,000 visitors on my website! – The 19th Great Finale of the Great Orchestra of Christmas Charity is just around the corner – it will take place on Sunday, January 9th 2011. XIX FINAŁ WIELKIEJ ORKIESTRY ŚWIĄTECZNEJ POMOCY!! /Version english and polish/. – New Year Best Wishes: Happy New Year 2011. – Best Hike’s Top Ten Hiking Towns Worldwide: #2 and #1. – Best Hike’s Top Ten Hiking Towns Worldwide: #4 and #3. – Best Hike’s Top Ten Hiking Towns Worldwide: #5-#8. – Best Hike’s Top Ten Hiking Towns Worldwide: #10 and #9 Revealed. – Gasherbrum II Winter Expedition 2010/2011. – Merry Christmas Wishes 2010. – AAC Book Club: Winter Book Club Dates in Golden. – Hundreds Of Trekkers Stuck In Lukla – Nepal. – Book Review: The Summit by Eric Alexander. – First Pakistani Women on Winter Expedition In the Karakorum Pakistan. – Himalaya Fall 2010: Season Finally Ends On Lhotse. – Himalaya Fall 2010: More From Lhotse. – Himalaya Fall 2010: Lhotse Update! – Himalaya 2010 wrap-up: Shisha Pangma and Manaslu summit reports. 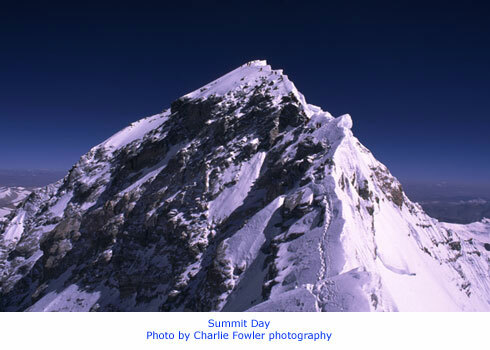 – Himalaya Fall 2010: Solo Summit Bid On Lhotse. – Himalaya 2010 wrap-up: Everest fall season summits and Cho Oyu too. – Himalaya Fall 2010: Eric Summits Everest, Completes Save The Poles Expedition! – Himalaya Fall 2010: Eric Larsen In Camp 3, High Winds Predicted For Summit Day. – Himalaya Fall 2010: Eric Larsen Begins Summit Push On Everest. – Himalaya 2010 wrap-up: Cho Oyu update, Pauner about Manaslu summit, Everest C4, Lama Geshe recovering. – Himalaya Fall 2010: Summits On Manaslu and Cho Oyu. – Himalaya Fall 2010: Avalanche on Dhaulagiri – three Japanese climbers and one Sherpa missing. – Himalaya Fall 2010: Avalanche May End Season On Cho Oyu. – Himalaya 2010 wrap-up: Cho Oyu summit push take 2, Manaslu teams ready. – Himalaya 2010 wrap-up: Summit plans buried in the snow. – Himalaya Fall 2010: Climbers Injured In Avalanche on Cho Oyu. – Himalaya 2010 wrap-up: Everest summit push plans, TMA team deserts Cho Oyu. – Himalaya 2010 wrap-up: Everest sieged from both flanks, Cho Oyu C2, Manaslu C1. – Himalayan 2010 wrap-up: the season’s soaked kick-off. – ExWeb special on Everest 2010: The autumn of the solo climbers. Himalaya Fall 2010: Avalanche on Dhaulagiri – three Japanese climbers and one Sherpa missing. Story update 1:10PM: An avalanche hit Japan’s Association of Professional Guides team on Dhaulagiri on Tuesday, Jusuke Hirai reports. Osamu Tanabe, 49, Toshio Yamamoto, 36, and Daisuke Honda, 32, plus Pasang Gyelu Sherpa are missing since then. Two other members have been rescued alive, according to Yusuke, and have just caught a flight back to Japan. A chopper was assigned to search the area today and some Japanese guides might travel to Nepal this weekend, hoping to help in searching labors. Osamu Tanabe, 49, is one of the leading high altitude climbers in Japan. He has summited nine 8000ers, among them a “winterly” climb on Everest in 1993 (Osamu summited on December 20, one day before the beginning of calendar winter). 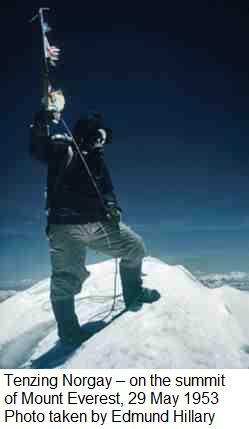 After attempts in 2001 and 2003, he led the team whose members climbed Lhotse’s south face in winter 2007 (the team didn’t reach the summit, but climbed the entire face). year with Shinshu University Alpine Club. Note: Contrary to previous reports, the missing climbers are not from Tokyo. Tanabe comes from the city of Nagoya, Aichi Prefecture; Honda lives in the village of Hakuba, Nagano Prefecture, and Yamamoto is from Asahi, Toyama Prefecture. – Youngest On Everest Update: China Sets Age Limit On Everest. – Youngest On Everest Update: Nepal Grants Sherpa Permission. – Youngest On Everest: Worst Fears Realized? – Everest 2010: Busy Weekend At The Summit. – Everest 2010: Teams Moving Up, Summit Bids Tonight! – Everest 2010: North Side Summit! – Himalaya 2010 climbing season: Edurne Claims Number 14, Summits on Everest! 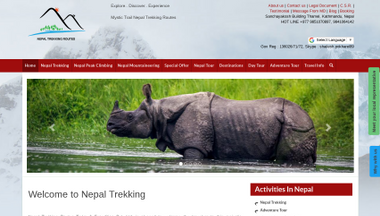 – Everest 2010: Weather Window For Sunday? 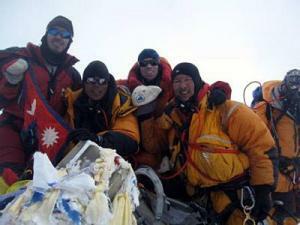 – Everest 2010: More Teams Prepare For Summit Push. – Everest 2010: Teams Hit BC! – Everest 2010 wrap-up: hello Base Camp. – Everest 2010: Jordan Romero Leaves For Kathmandu, Tibet Is Open! – Everest 2010: Tibet Still Closed? Ice Doctors Going To Work! 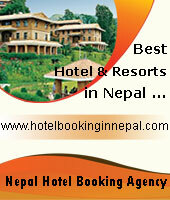 – Himalaya 2010 climbing season: Kathmandu Busy, Base Camps Showing Signs of Life. – Himalaya Autumn 2010 expeditions. – Everest & Himalaya 2010 Season’s End Chronicle, take 5: Special report – The Spring of Annapurna. Himalaya 2010 climbing season, Karakoram and Himalaya wrap-up /17/ – Week in Review. Both sides of Everest were summited today, with a large number of climbers topping out the south side. Among them Carina Raiha, calling from the top to the president of Finland. Summit pushes are underway also on other 8000ers. Teen Jessica Watson arrived in Sydney to a hero’s welcome. Everest summits Both sides of Everest were summited today, with a large number of climbers and sherpa topping out the south side around 8 am local time. Peak Freaks climbers, Summit Climb (Wiktor Mazur), Hanesbrands’ Scottie and Jamie Clarke, Kenton Cool (bagged his 8th summit), Loben Expeditions Basanta Singha Roy and Debasish Biswas from the Mountaineers’ Assocation of Krishnagar (the first private club from India to have their members on top of Everest), team Malta and Carina Raiha were all among the summiteers in the past hours. Carina spoke from the top to the president of Finland as the first female Everest summiteer from the country. More climbers are en route to the top, in a slow climb due to traffic. Adventure Consultants reported about 60 climbers in today’s summit push, with another 60 to follow in a second wave tomorrow. 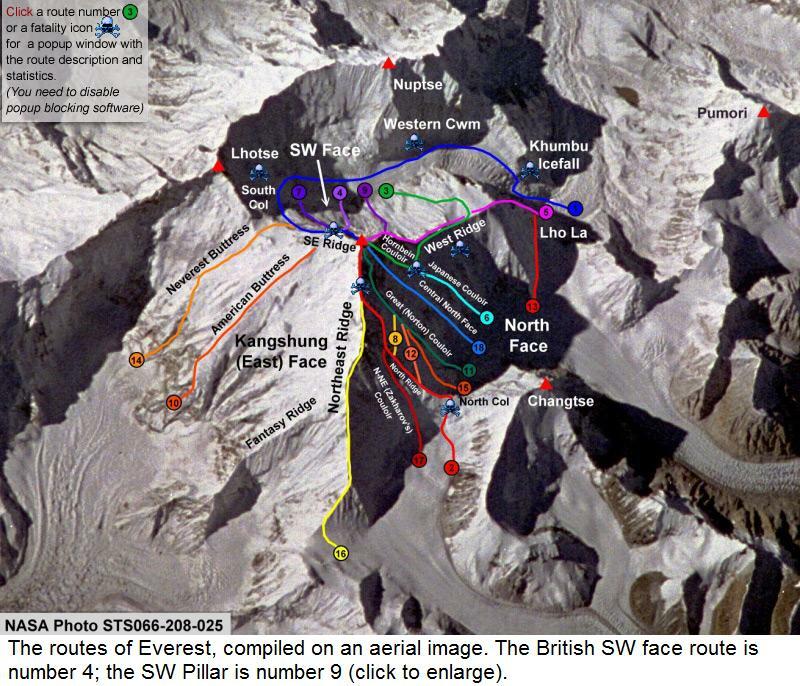 Sean Disney of Adventure Dynamics reported that the Chinese rope team fixed the route to the summit 1.45 pm on Everest north side today. This is the first Everest north side summit this season. Weather update Weather forecasts showed high winds with a small drop today, Sunday. Some climbers reported nice weather and little wind but already from early Monday morning wind is forecasted to pick up again. Both Meteo Exploration and Expedition Weather show high to very high winds May 17-21 (range 10-25m/s at 8500 meter level) with lower winds starting May 21/22 (range 2 m/s to 15 m/s). Dhaulagiri Austrians Stephan Keck and Paul Gürtler planned to start their summit push on Dhaula last week. 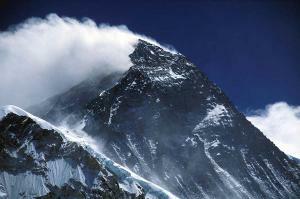 The two climbers use no Sherpa support or O2, and hope to ski down from the summit. “The Chinese team is joining us until C3; the Swiss team will set off in 4-5 days,” Stephan reported Monday. Lhotse update Serguey Duganov perished on May 7 at 7800 meters during descent. The Russian summit push was led by Alexei Bolotov and in addition to Serguey Duganov, it included veteran top climbers Gennady Kirievsky, Nickolay Totmjanin and Vladimir Belous. Alert: Trekker Aubrey Sacco missing in Nepal American Aubrey Sacco, 23, is missing after a solo, week-long trek in the region of Langtang, Nepal. Aubrey began her trek on April 20 and was scheduled to return on or around April 30, but her family has not heard from her since her check-in at Dhunche on April 20. Pakistan 2010 season preview, take 2: (a few) more teams apply for climbing permit In addition to added costs and financial security requirements imposed by the government; the global money crunch and political unrest are reducing Pakistan outfitters’ client base. Barely one month before season kick-off, only 29 teams have applied for climbing permits. New fees and regulations strain battered tour operators in Pakistan A new set of guarantee & renewal fees now make survival even tougher for local expedition outfitters. Teen wars: Everest record climber caught car-surfing Big Bear Lake resident Jordan Romero is weathering the winds in BC hoping to summit Everest at the ripe age of 13. 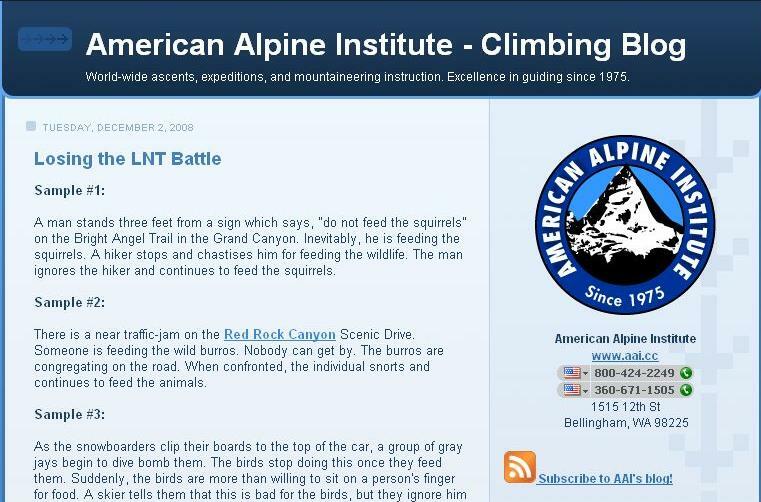 The biggest headlines in US media were however stolen Friday by Malibu teenager Johnny Strange, who climbed the Seven Summits at age 17 last year. Johnny was reportedly caught car-surfing on the roof of a white BMW SUV along Pacific Coast Highway. K2 and Karokoram tech last minute check-list The last-minute Everest tech list published in March proved popular so last week there was an encore, this time with target K2 and Karakoram. Summit? 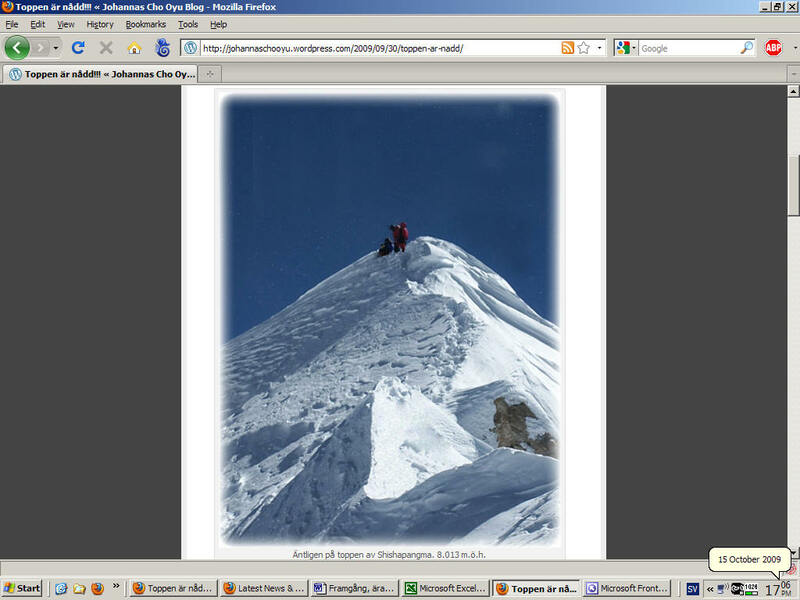 The proof is in the… SPOT Verifiying summits has been an increasing problem in Himalaya. Lately, the tiny 150 gram SPOT tracker has offered to become a great back-up to traditional summit proof. Together with head mounted cameras, Spot is the “thing of the year” in Himalaya. Lena Laletina at RussianClimb.com reports that Kazakh star mountaineer Denis Urubko climbed a new route on Lhotse today. On Dhaulagiri, Stephan and Paul reported a horrible climb in strong wind that they finally aborted. Xinhua reported that the Chinese mountaineers encountered bad weather after summitting the peak Wednesday, but one climber died and four others were severely injured. Rescue efforts are underway. Himalaya 2010 climbing season, Karakoram and Himalaya wrap-up /16/ – Week in Review. A Sherpa crew topped-out Everest last week along with Himex guide Adrian Ballinger who decided to join the push after bolting parts of the route. Peak Freaks member Lucille de Beaudrap reportedly summitted later with Domhnall O’Doughartaigh and two Sherpa. A Russian Lhotse summit push reportedly resulted in an accident but details are unclear. A forecasted weather window might kick off summit attempts on Shisha Pangma and new pushes on Everest this week. Lhotse The large Russian team led by Alexey Bolotov began the summit bid late last week. Fatalities have been reported but are yet to be confirmed. The Kazakhs recovered the remains of their mate Serguey Samoilov, perished on the mountain last year. A decision is yet to be made on whether to bury the body in C2 or transport it down to BC. Makalu After setting up C2 on the SE ridge, four members in the British Armed Forces expedition walked American Chris Warner, ill with serious respiratory problems, down to BC. The Ukrainians have reached the West Ridge and set C4. Manaslu The expected weather window didn´t last for Carlos Soria and team on Manaslu – they reached C3 in a snowstorm and had to pitch their tent on unstable ice. They retreated back to BC and called the expedition off. Oscar Cadiach will stay and hope for another chance, possibly joining other teams. Annapurna: Iranian Ehsan Partovi-Nia climbed to C2 on Annapurna’s north side on Saturday to check conditions on the route to C3. An Italian climber had a minor accident on Wednesday, Ehsan said, while a Japanese expedition has left for R&R in Pokhara after a few attempts to reach C3. Ama Dablam French Philippe Gatta summited Ama Dablam via the SW ridge in rough conditions. With only 6 people on the mountain, Philippe climbed on his own from 6350m after his partner Jean-Marc Wojcik turned back. Puja Ceremony at Mount Everest Base Camp – video. Puja Ceremony at Mount Everest Base Camp. A Puja Ceremony is always held at Mount Everest Base Camp. Until this ceremony is held, no climber or Sherpa is allowed on the mountain, for fear of angering the gods. A lama, a Buddhist holy man, usually oversees the ceremony. During the Puja, the climbers and Sherpa’s pray to the gods for their permission to climb Mount Everest and for a blessing for a safe and successful expedition. A small temple, known as a chorten, constructed from rocks, is where the whole expedition team crowd around for the ceremony. During the Puja, climbers and Sherpas place their ice axes, crampons, and other items against the chorten to be blessed. A flag pole is also raised upon the chorten and prayer flags strung across the camp. The prayer flags are said to purify the air and pacify the gods, as they flutter in the wind and, in so doing, release the prayers written upon them to the heavens. After all the prayers and blessing are said both Sherpa’s and climbers throw rice into the air and smear it upon the faces of others around them. This is then usually followed by drinking plenty of chang (beer)! Himalaya 2009 climbing season, Karakoram and Himalaya wrap-up /24/ – Week in Review. K2 claimed a first victim last week; highly skilled ski-mountaineer Michele Fait slipped and fell while skiing down the Cesen route. Iran, Afghanistan and Somalia; adventure news arrived from unusual places while a historic meet was held in Nepal, a call went out for Mongolian horses, a last word was posted on Everest spring 2009 and the Indian Ocean race reached safe harbor. Outside the regular Karakoram updates, last week also brought an ExWeb special on the “hidden” Gasherbrums. K2: sky-skier down Italian Michele Fait slipped and fell while skiing down the Cesen route. Ericsson and Fait had already skied 900 meters from C1 and set up C2 in a second climb last week. They were skiing back to BC when Michele suddenly plummeted and died in the fall. Kalashnikovs traded for ice-axes on Mt. Noshaq Last year, John Mock & Kimberley O’Neil from Yosemite National Park asked climbers to help clear the landmines blocking entrance to Afghanistan’s highest peak, Noshaq (7492m). The mountain has had many ascents including the first 7000er winter climb, but never by Afghans themselves. Now four Afghan men plan to become the first locals to reach the summit of the country’s highest peak, le by project manager Louis Meunier plus guides Jean Annequin and Simon Destombes. Sherpa climbers First Ever Meet held on 21 June in Kathmandu “Nepali mountaineers have come of age to lead their own destiny,” said one. “Does the state know the plight of Nepali climbers when they get old?” asked another. “Foreign climbers talk more about their yaks than their Sherpas,” a third chimed in. A historic first ever meet of Nepali climbers was convened in Kathmandu on 21 June. The meet was attended by 34 regional mountaineers clubs, mountaineering related association/agencies, approximately 600 Nepali climbers and 100 expedition operator representatives. Over 30 speakers, majority of them Nepali climbers, spoke on special provisions to be incorporated in the drafting of the new constitution to address concerns of Nepali mountaineers such as rescues, social security, insurance, regulations, education and retirement. Iran: Iran is changing and so is its mountaineering: an avalanche of Iranian climbers is hitting Karakoram. Only on G2, there’s a team of 11 climbers from Tehran, a team of 2 mountaineers from Golestan, and a team of 9 alpinists from Sarab expected. K2: Bogomolov’s comeback, take 4 “There is no justice in Heaven!” Serguey cried on K2 in 2006, after four fellow Russian climbers perished in an avalanche on the Abruzzi spur, which almost swept him with them. In 2007, he attempted K2 Chinese side, with the Kazakh National team. This season, the Russian climber is attempting K2 for the fourth time, going back for the Pak side with Kazakhs Maxut Zhumayev and Vassily Pivtsov. 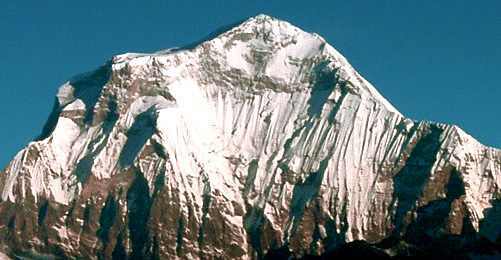 GIII-GIV: The climbers planed to establish a tent in the cwm near 7000 meters. GIII-GVI: ExWeb special on “the other Gasherbrums” While most Gasherbrum climbers shoot for the two 8000ers – GI (Hidden Peak) and GII – their “lesser” cousins GIII, GIV and GV provide a higher degree of exposure and difficulty, plus a number of unclimbed faces and ridges. Moreover GVI, located at the edge of the range, is probably virgin. Yet little is known about the lesser Gasherbrums, so last week ExWeb ran a skinny on the range. Nanga Parbat: Three of Göschl’s team members suffered altitude and had to descend to below 4000 meters with Dr. Günther Straub. Otherwise, the climb on Nanga is progressing fast. Louis Rousseau reported that the team hopes to be ready for a first summit bid by the end of the upcoming week. Joao Garcia spent two nights in C2, at 6,000m. Korean Miss Oh reportedly arranged a chopper to airlift her the moment she returns from the summit, in order to take her to Gasherbrums’ BC. Gasherbrum II: Altitude Junkies reported that out of the estimated six or seven expeditions currently present in base camp, few have high altitude porters. Major teams Amical, Altitude Junkies and Jagged Globe are all cooperating to prepare the mountain. Broad Peak: Eli Revol and Ludo Giambasi failed a traverse of the mountain. Antoine turned back above C3 on the normal route. FTA’s Broad Peak team leader Chris Szymiec reported that there are a few other teams on the mountain so lines need to be fixed. The team had member Barry Dawe evacuated last weekend due to vision problems. …and early fall kick off? Indian-Tibetan Border Police mountaineers may attempt Everest from its south side in August, according to the Indian Express. The Indian team originally announced plans to climb and ski down Everest’s North side in spring this year, hoping to use their own encrypted communication equipment, but eventually switched to standard satellite-phones at the Chinese Authorities’ reluctance to allow such comm-gear to be used in their territory. Now the ITBP team is back in Indian headlines – reportedly going for a early fall climb on Everest, from Nepal. ExWeb interview with Linda Beilharz, “this is a combination of excitement and fear” Linda Beilharz’ big goal is a journey on the four Icecaps of the World. She has skied to the South Pole, crossed Greenland and is on her way to the Southern Patagonia Icecap with her expedition teammate and husband, Rob Rigato. Linda talked about their different strong points, why the four Icecaps, the gear and preps in an interview with ExWeb’s Correne Coetzer. ExWeb interview with Rob Rigato, “joining Linda was a way of supporting her in her goals” Rob is joining his wife and ExWeb’s Correne Coetzer caught up with him in Chile for his side of the story. Nepali mountaineers to lead their own destiny: Sherpa climbers First Ever Meet held on 21 June in Kathmandu. (MountEverest.net/Reported by Ang Karma Sherpa) A historic meet of Sherpa climbers was convened at the National Academy Hall in Kathmandu on 21 June 2009 to address the woes and difficulties of Nepali climbers and current mountaineering related issues in Nepal. This first ever meet of Nepali climbers in the history of Nepali mountaineering was organized by the task force committee formed by the government to steer the Nepal Mountaineering Association (NMA). The meet was attended by 34 regional mountaineers clubs, mountaineering related association/agencies and approximately 600 Nepali climbers and 100 expedition operator representatives. Over 30 speakers, majority of them comprised of Nepali climbers, spoke on various issues relating to the state of Nepali climbers, Himalayan environment and special provisions to be incorporated in the drafting of the new constitution to address concern of Nepali mountaineers. In his welcome address, Nima Nuru Sherpa, member of the NMA task force committee & convener of the Meet highlighted the special role and contribution of Nepali climbers towards the development mountaineering activities in particular and tourism in general in Nepal. Pemba also expressed his concern that such a situation is emerging because the Nepal Mountaineering Association, founded to safe-guard the interest and welfare of Nepali mountaineers, has long been run by non-mountaineers. Nawang Nima Sherpa, member of Nepali Mountaineers’ Welfare & Rights Committee spoke about the need of restructuring mountaineering related agencies in order to recognize and evaluate full potentialities of Nepali climbers in tune with the changing times. – pension and welfare of retired Nepali climbers. In view of the changing mountaineering trends and scenario in the Himalaya mountains, he also spoke about further upgrading mountaineering skills of Nepali climbers and need for mountaineering schools to produce professional Nepali mountain guides with international diplomas. Junila Subba, another woman Everest summiteer from the same expedition spoke about the need of inclusion of Sherpa climbers in the policy making body of the government and launch welfare programs to support climbers and their family in such need from the money raised from expedition royalty fees. President of TAAN, Jyoti Adhikari urged the government to make arrangement for education and health and special privileges in transportation and employment for Nepali mountaineers and their families. He also requested the government to take immediate initiatives in developing an effective mechanism for the rescue of mountaineers, both foreigners and Nepali, in case of accidents and selection of liaison officers from Nepali climbers. He demanded social security for climbers and their family after they retire. Parliamentarian and Constituent Assembly members Ms. Shanta Chaudari and Pasang Sherpa pledged their support to have the interest and rights of Nepali mountaineers addressed in the drafting of new constitution. They also spoke about the need to save Himalaya from climate change and revenues from mountaineering ploughed back for the betterment of mountain people. Mr. Dhakal will help prepare a work paper on the meet to present to the government and other concerned agencies. Ranjan Krishna Aryal, joint secretary at the Nepali’s tourism ministry and the convener of NMA task force chaired the meet with veteran Sherpa Ang Rita gracing the meet as the guest of honor. Other prominent invitees included former secretary at the Ministry of Tourism Dipendra Purush Dhakla; parliamentarian and constituent assembly members Pasang Sherpa and Ms. Shanta Chaudary; former NMA president Tek Chandra Pokharel; Trekking Agent’s Association Nepal (TAAN) president Jyoti Adhikari and first Nepali teenager Everest summiteer Shambu Tamang. 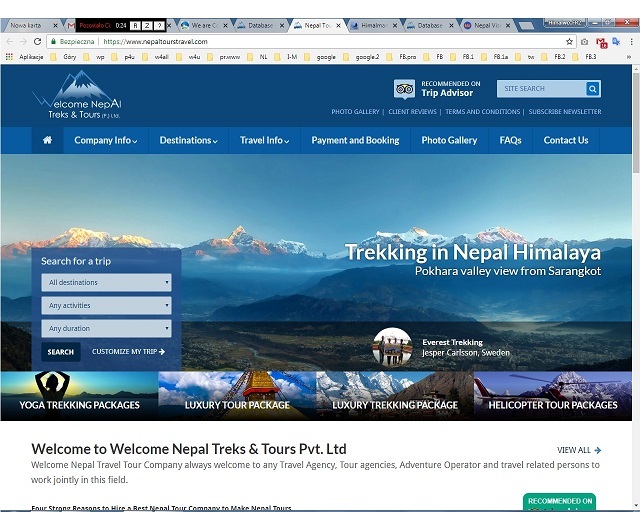 Citing complaints of monopoly and irregularities from Nepali mountaineers and mountaineering professionals, last year, Nepal’s Ministry of Tourism directed the last elected committee of NMA to resign en masse and consequently a 5 member task force committee was formed in replacement. However in defiance to the formation of task force by the government and in a rushed election a new NMA executive committee was elected. This committee has so far failed to receive approval from the Ministry of Tourism, hence forced to work in ‘exile’. The Ministry of Tourism is the co-coordinating agency of NMA for government related matters. An attempt by the task force, with support from the majority of Nepali climbers, to elect a new executive committee is on hold due to legal/political wrangling.